Women at Manchester Metropolitan are helping to make their mark in the worlds of research, learning, sport and beyond. To celebrate International Women’s Day, the University is showcasing the impact that is being made by its students and staff. Below is just a small selection of women who are helping to blaze a trail across many different sectors. 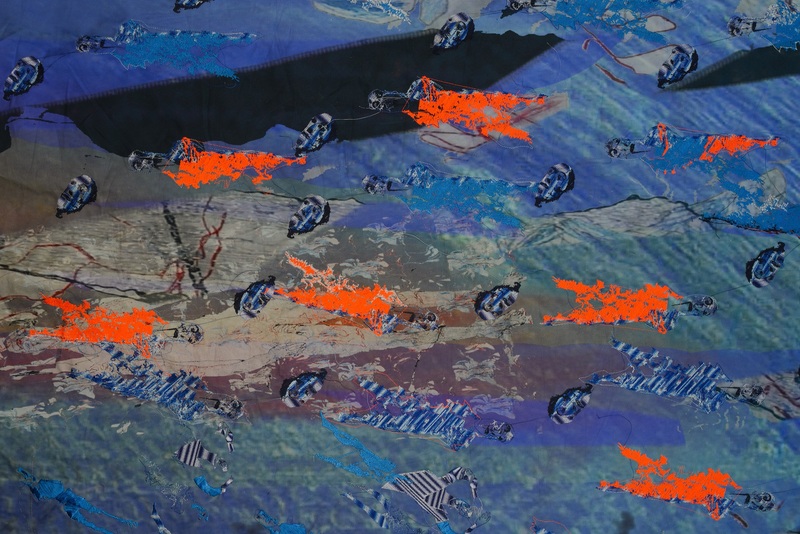 Professor Alice Kettle is a contemporary textile and fabric-based artist, who uses textiles on an unparalleled scale. Her huge stitched works have been represented both locally and internationally in public collections from Italy to Australia. This year, she has launched a project called Thread Bearing Witness, which looks at issues of migration and displacement, particularly women and children. Inspired by her daughter Tamsin Koumis, who worked closely with refugees, the project uses stitched textiles to reflect on issues of people movement in the context of the global refugee crisis. With more than 15 years of criminology expertise, Professor Hannah Smithson is Director of the Manchester Centre for Youth Studies. Recently, she led a ground-breaking new approach to youth justice in Greater Manchester that could potentially transform the system. The Greater Manchester Youth Justice Partnership is a unique project that involves collaborating with young people to deliver effective practice in youth justice. It was developed by academics at Manchester Metropolitan, and is based on eight principles each based on young people’s views and supported by academic evidence. Though Professor Kate Pahl only joined the University last month, she brings a wealth of experience with her from her previous post at Sheffield University. Prof Pahl’s research has seen her working with communities to co-create research and poetry that tell the neglected stories of women and girls whose voices are marginalised. As Head of the Education and Social Research Institute (ESRI), she is also overseeing two large-scale education projects, worth more than £1 million in total, that aim to transform maths education, and reconfigure what it means to feel ‘odd’ at school. She said: “Our approaches at ESRI are intrinsically feminist. For me, feminism equates with collaboration, and many of the projects we are involved with have collaboration at the core. Dr Gladys Pearson is a specialist in musculoskeletal research. Her research studies how the body functions during exercise, and the way it responds to factors such as training, immobilisation, being sedentary and ageing. Her research has been used by the European Space Agency in missions that aim to pave the way for new clinical applications to combat the adverse effects of ageing. As a Professor of Computer Science, Prof Han is passionate about the potential that computer science has to engage and change society. Prof Han is currently a Deputy Director of the Informatics Research Centre, and the University’s Crime and Wellbeing Big Data Centre. 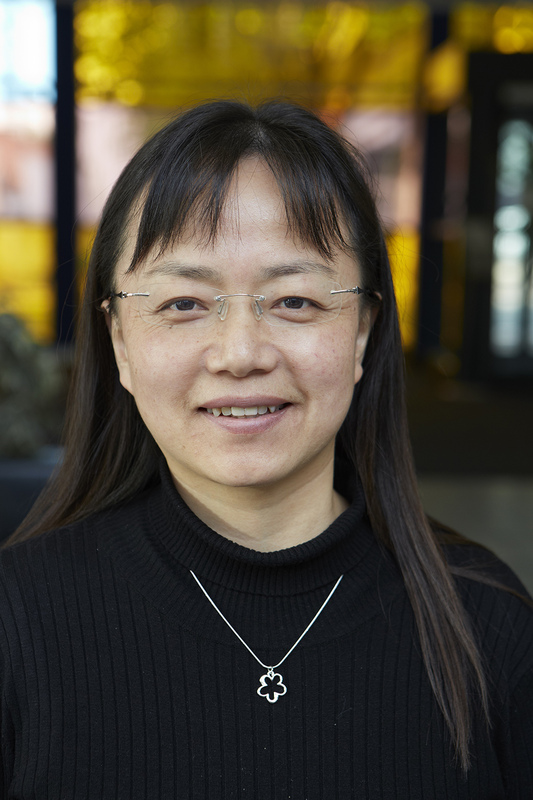 Having worked in both industry and academia, Prof Han has more than 14 years’ research and practical experience in computer-based solutions for large-scale data processing, data analysis and mining to address societal challenges. She has also conducted research in relation to big data processing, data mining, parallel and distributed computing/cloud computing funded through sources such as EPSRC, Innovate UK, and Horizon 2020. Why are men more likely to enter entrepreneurship than women? It’s questions such as these that interest Dr Sally Jones, Reader in Entrepreneurship and Gender Studies, and Co-Head of The Sylvia Pankhurst Gender and Diversity Research Centre. “There are vastly more men than women involved in entrepreneurship, and I’m interested in why that might be,” Dr Jones said. “Is it to do with the way that entrepreneurship is talked about in the media, or is it to do with the way that people are educated about their careers? “This week we’re really proud to support a range of events across campus and beyond, focused on women’s leadership and activism, including film screenings, pop-up libraries, exhibitions, magazine launches, talks and guided walks. 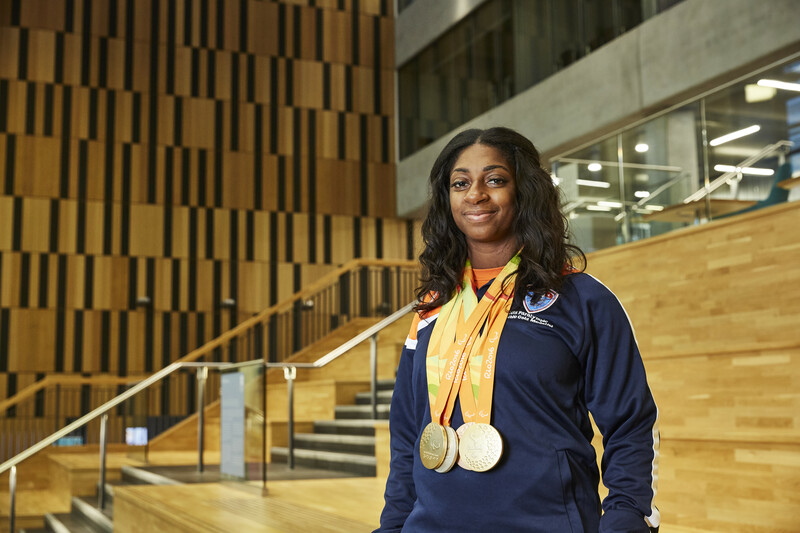 University sport scholar and Paralympian Kadeena Cox (pictured below) acted as flag bearer for Team GB at the Rio 2012 games. Kadeena, who was diagnosed with multiple sclerosis following a stroke in 2014, made her Paralympic debut in 2016 and achieved four medals across two different sports – cycling and athletics. Kadeena was the first Briton in 28 years to win medals in two sports at one Games and the first in 32 years to secure golds in two sports at the same Paralympics. She spoke to Met Magazine about her life as a sportswomen and physiotherapy student at Manchester Metropolitan. Sport scholar Helen Scott also saw success at the Paralympics. The 26-year-old Sport and Exercise Science student acts as tandem pilot to the visually impaired cyclist Sophie Thornhill. The pair won gold in the Women’s B kilo after clocking in at 1 minute 06.283 seconds - breaking the Paralympic record set moments before. They went onto win bronze medal in the 3km individual pursuit. 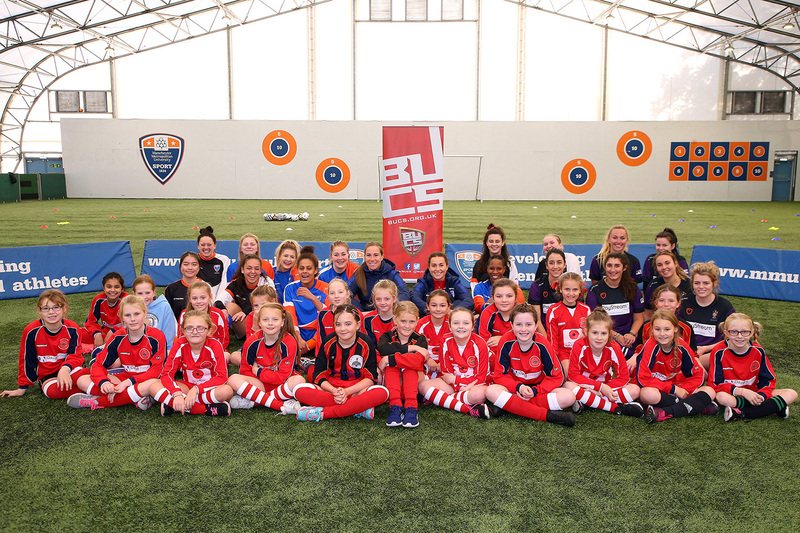 Earlier in 2018, Manchester Metropolitan was named as one of only eight FA Women’s high-performance football centres and launched the FA’s Girls Football Week (pictured above). This is in addition to the ongoing partnership with Manchester City Women’s FC. Just last month, the Master in Sport Directorship programme at the University’s Business School announced it had extended its scholarship programme for a second year to help support more women into top UK sports jobs. 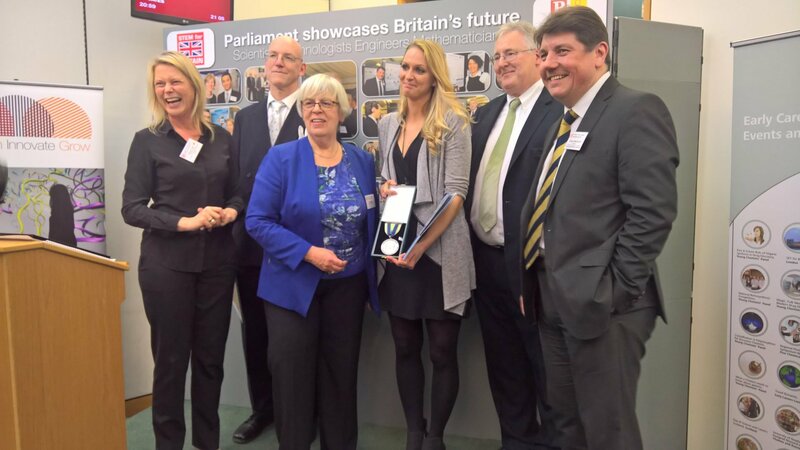 Last year, PhD researcher Lauren McNeill (pictured below) was awarded a top science prize at Westminster for her research developing a rapid and cost-effective detection system for Novel Psychoactive Substances, formerly known as ‘legal highs’. In January, the University announced it will be leading the charge to train the North West’s future digital workforce as part of the new £40 million national Institute of Coding. Manchester Metropolitan University is also committed to principles underpinning the Athena SWAN Charter. The University aims to address the issue of the underrepresentation of women in science, technology, engineering and mathematics subjects through a range of activities laid out in a three-year action plan.